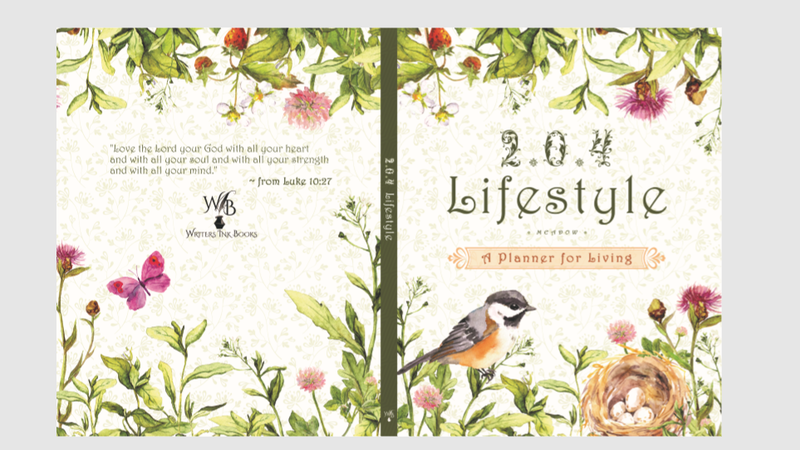 The 2 * 0 * 4 planner is designed to transform your life. * Your heart will celebrate deepening relationships. * Your soul will be inspired to come closer to God. * Your mind will be sharper and clearer. * Your body will strive toward its own ideal weight. How can a simple planner do all this? The key is double-pronged: following the two-page weekly spread and committing to the core of the 2 * 0 * 4 Lifestyle. Scientific studies tell us that 21 days is necessary to break a habit, and 66 days are necessary to form a habit. The 2 * 0 * 4 will equip you with weekly reminders for diet, water intake, and movement. At six-week and seasonal intervals are opportunities to commit to goals to strengthen your relationships, pursue quiet contemplation or peaceful prayers, build your mind, and develop your body. We are not simple human beings. We are heart and soul, mind and body. We are circles of love and caring, spiritual endeavors, curious intellectuals, and physical movement. Any transformation requires a time commitment, and challenges confront our devotion to change. Schedule your changes, plan for special events, take lists when shopping, and climb over the struggles that interfere with your devotion to transform. If you fall off track with any element, just climb back on with a re-commitment to change. At the end of a committed year of the 2 * 0 * 4 Lifestyle, we guarantee that your life will have transformed for the better. Reach for the life you want with 2 * 0 * 4. This English Cottage version is available exclusively on Amazon. 7 versions are available ~ Check M.A. 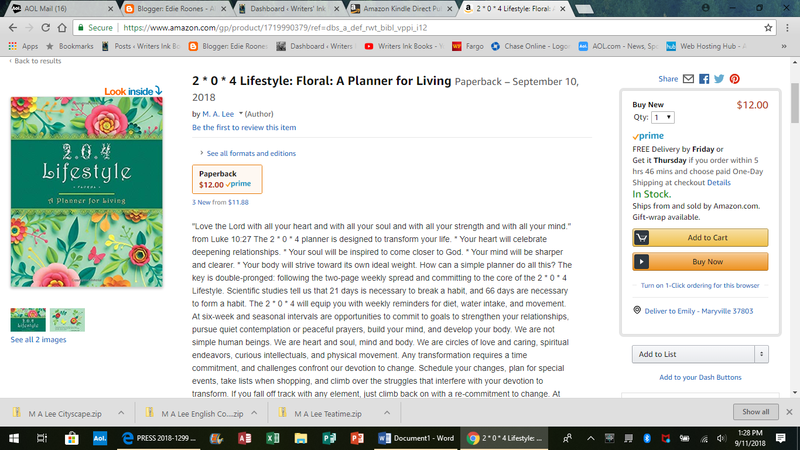 Lee’s author page on Amazon. 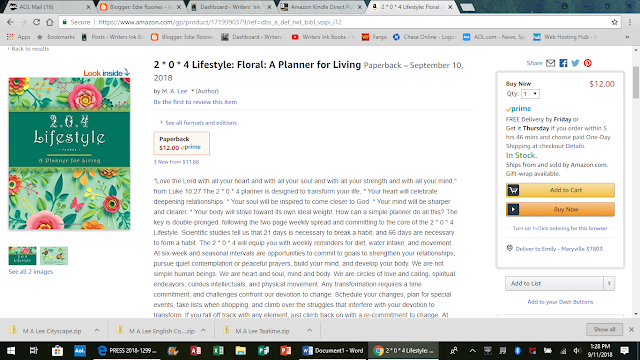 The English Cottage version of the planner, a little blurry because this is a screenshot. Looking for the perfect and unique gift for the special people in your life? Want something they will remember all year long? Want something that they keep talking about doing but never quite manage? Want something for yourself? Something beautiful and purposeful? 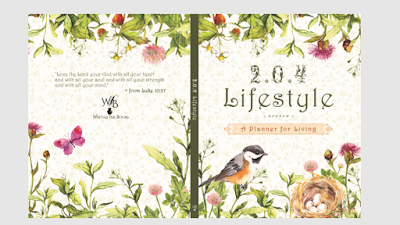 Meet the 204 Lifestyle planner, in 7 versions. Undated. Weekly two-page spread. Focusing on movement and meditation, feasting and fasting, brain gain and relationship building. With six week reviews, seasonal retrospections and re-sets, and pages for notes, gift lists and plans. And a calendar of major dates for 2019 to 2023. At the low planner price of $12.00. A dollar a month is a deal. The Meadow Version, for lovers of birds and flowers. The Floral Version, for the artistic aesthetic. Cityscape, the Knoxville, TN skyline, with the Henley Street Bridge. English Cottage, a warm English garden and a cup of tea. Mountain River, for lovers of the Smoky Mountains (an actual location in the Smokies). Woodland, for the hikers in the family. Each planner is $12.00. That’s one dollar a month. Contact winkbooks@aol.com if you want more information. No, we don’t collect email addresses. We have better things to do–like writing more books and creating more planners. We’ll just respond to any question / comment / speculation and wish you well. And we wish you well now.